Whether your ready or not…2019 is a’comin and it’s pretty much here. Monday night is the last day of 2018…I cant believe it. Luckily many people are off work the following day so if your looking for something super fun to do..you’re in luck. I got some things together so you don’t have to look any further for NYE plans!! First off…Krave Seafood and Oyster Bar is throwing a huge celebration with Performances by Machine Gun Symphony, Ryan Collins, and the Rosy Hips. Pythian Castle, Their throwing a party where you can explore 3 floors of the castle overnight!! Gatsby theme! This has my name all over it! 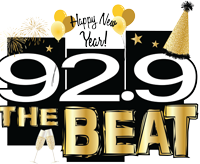 You can also ring in New Year’s Eve at the Oasis Hotel & Convention Center, They’ll have a comedy show and music by Members Only. And one more I want to mention…of course…its the NYE Masquerade Ball at the Savoy Ballroom, live music and a balloon drop!